It’s November 1985, and in wintery Leningrad, 24-year-old Galina Kogan is trying desperately to come to terms with the unexpected death of her mother. It was always Galina and her mother against the world, and for the past few months, the pair had been quietly planning a move to America, that fabled land of freedom and prosperity a world away from the Soviet Union. Now Galina’s beloved mother is gone, and their grand plans seem to have died along with her. Grief-stricken, Galina can’t imagine emigrating alone. But as she walks home dazedly from the hospital on the night of her mother’s death, Galina collides suddenly with a tall, blonde-haired man, who apologises profusely and after helping her up, introduces himself as Andrew Morrow, a mosaic artist from Melbourne, Australia. It’s a chance meeting, but to Galina it feels like an omen, and that very night, she makes up her mind. She will still emigrate, but not to America. No, her new home will be Australia. A year later, Galina is settling into her life in Australia, but there are still many days when she feels out of place. As a Soviet Jew, her old life was defined by poverty and hardship, and the push and snarl of Russia’s virulent anti-Semitism, and Galina is finding it difficult to adjust to Australia’s easy-going ways. In a desperate bid to assimilate, she buys Australian food and clothes, and rations her time with fellow emigres, but Galina soon realises she feels more of an outsider than ever – and she is also very lonely. 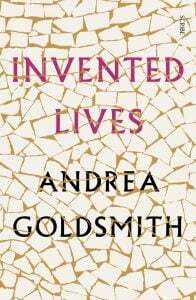 The eighth novel from acclaimed Australian writer Andrea Goldsmith, Invented Lives is a compelling, powerful and compassionately told tale of loss, gain and love. Beginning with Galina as the sole narrator, the story expands to include the perspectives of Andrew, Sylvie and Leonard, and with their rich and complex inner lives, often very different from the faces they show to the world, each character is utterly captivating. 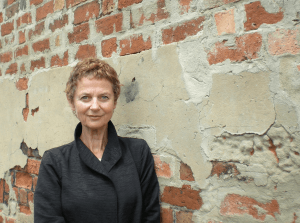 Galina’s story of exile and immigration particularly tugs at the heartstrings: as a persecuted Soviet Jew, she never felt like she quite belonged in Leningrad, and this feeling is only heightened when she arrives in Australia. Although she tries to ‘rub and scrape’ at her Russianness in an effort to fit in, she still feels like a stranger in a strange land, and for much of the novel, her Australian life and her Russian past exist uneasily together, ‘like a tandem bike with differently sized wheels’. 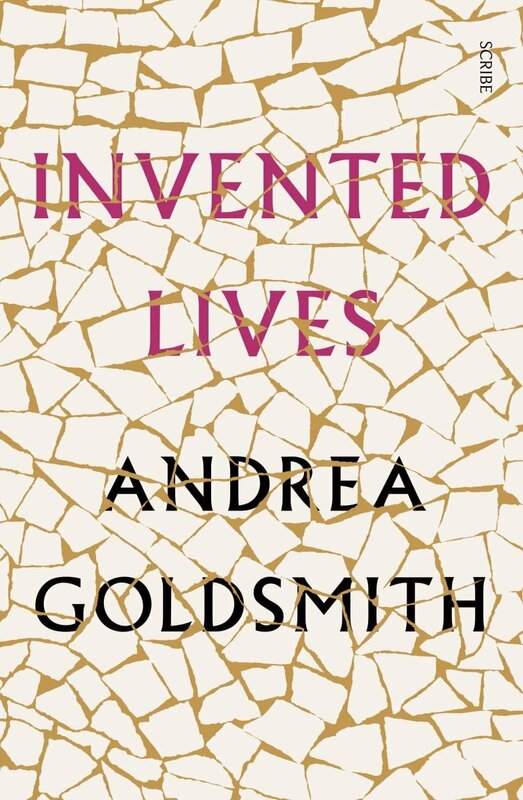 Goldsmith has set multiple novels in Melbourne, and Invented Lives has a strong and evocative sense of place. It’s interesting to experience the city through Galina’s eyes: on a trip to the Victoria Markets, there are a few minutes when Galina simply stands still, transfixed by the sight of all the fresh produce. ‘So many times in the past year she had been struck by the plentitude in Australia, but nothing could compare with this.’ Goldsmith’s research on life in the Soviet Union is meticulous, too, and Galina’s hometown, Leningrad, springs to vivid life. Thoughtful, enthralling and richly detailed, Invented Lives is a story about starting life afresh, and all the joy and heartbreak that this entails. It reminds us about the importance of connection and friendship, and speaks to the life-changing experience of finally finding a place to belong. Andrea Goldsmith originally trained as a speech pathologist and was a pioneer in the development of communication aids for people unable to speak. Her first novel, Gracious Living, was published in 1989. This was followed by Modern Interiors, Facing the Music, Under the Knife, and The Prosperous Thief, which was short-listed for the 2003 Miles Franklin Literary Award. Reunion was published in 2009, and The Memory Trap was awarded the 2015 Melbourne Prize. Her literary essays have appeared in Meanjin, Australian Book Review, Best Australian Essays, and numerous anthologies. Andrea Goldsmith lives in Melbourne.